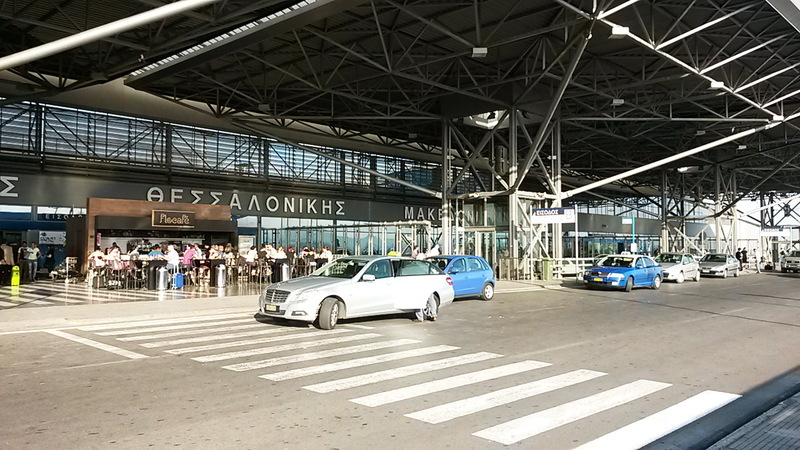 -CARS AT MACEDONIA, THESSALONIKI'S AIRPORT, DIRECT ! 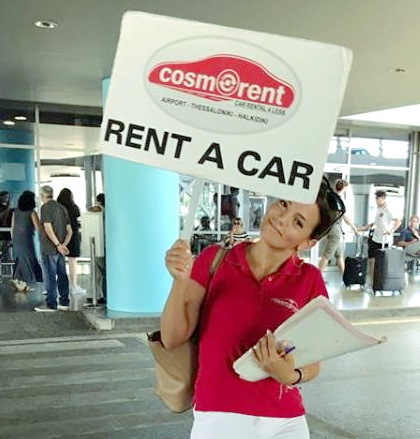 -No Airport taxes with 'COSMORENT' Rent a Car !! 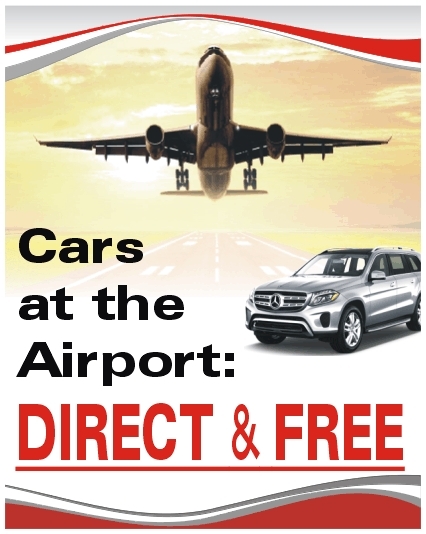 - Taxes on a vehicle rented from an airport agency or an online system can add 25% more to the cost of the rental. At 'COSMORENT' we are not required to charge those extra fees, so you don’t have to pay them as 'COSMORENT', has chosen to remain"Off Airport” to save our customers money !! 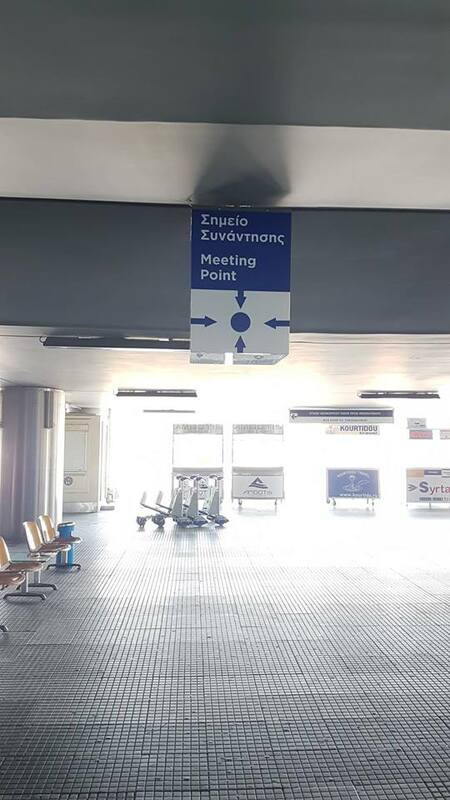 -When your airplane lands at 'MACEDONIA', Thessaloniki's airport, simply collect your suitcases and luggage and you are ready for immediate pick up, without you having to wait for the last client of the flight to collect their suitcases or have to suffer a journey coach or even have to wait in another long queue in front of an office desk !! 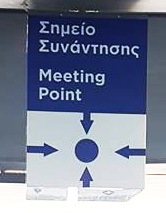 -According to the new 'MACEDONIA' airport’s, safety regulations -since APRIL 2018 - we 'll be waiting at the "AIRPORT’S MEETING POINT” which is just outside the arrival terminal hall, next to the big lift, holding a "COSMORENT” sign, so you can easily recognize us and then, we will take you to your vehicle -which ‘ll be conveniently parked within the terminal building, just outside the arrival terminal hall - a vehicle from the selected category. -It will take only a few minutes to complete the paperwork (car contract, maps) and hand you the keys to your hire car. We will familiarize you with your vehicle and offer travel tips and about the routes you are planning to take. As we are locals and we know the area very well we can give you all the useful information and travel directions you need to get easily and safely to your holiday destination. At the same time we can arrange the car details as well. 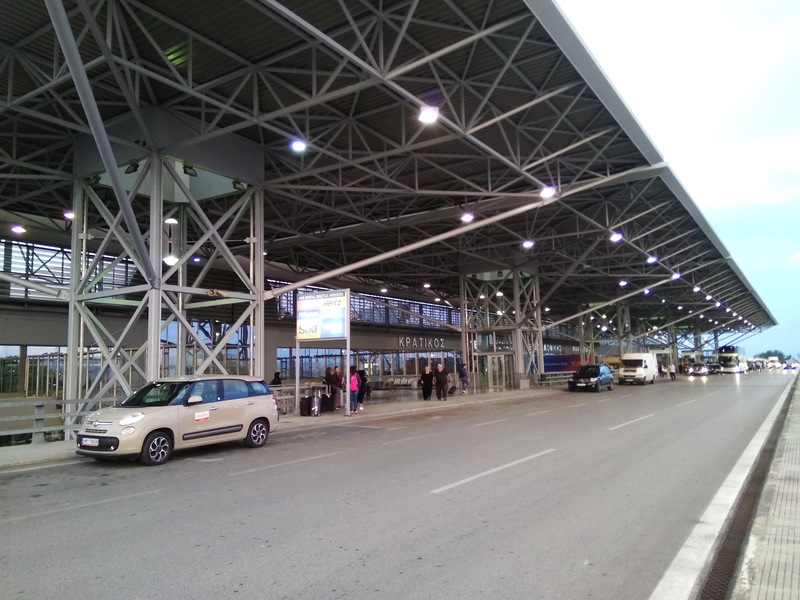 -On the way back, you’ll be kindly asked to return your rent a car vehicle, at MACEDONIA , Thessaloniki’s Airport departure area, where one of us will be there waiting for you, in order to collect the vehicle and to wish you a save flight back home. - It's all part of 'COSMORENT' excellent service, to save you money and time and ensure you get the best value during your holiday ! !